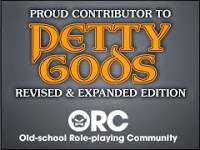 Over the last few weeks I've posted some RPGs as the Free GM Resource of the Week and somehow I keep finding more RPGs. Some are rather small while others, like Mazes & Minotaurs, seem to have a lot of content to them. 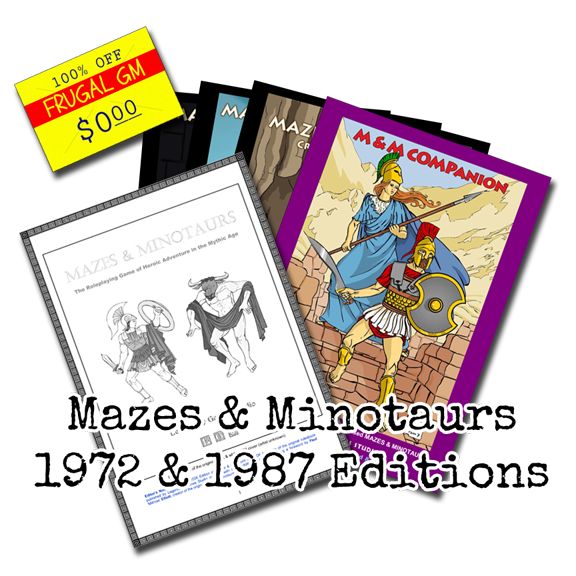 Mazes & Minotaurs has two main editions, both of which are free to download, and both have been updated some. The Original 1972 edition is 74 pages of "Roleplaying Heroic Adventure in the Mythic Age" while the 1987 Edition is a series of sourcebooks. Now I haven't really taken the time to reads through all five of these books, and I'm not sure I'll ever give them a go, but I have already seen at least one thing that I might want to study to possibly bring over to some other games. D'oh! Evidently I did some odd Fruedian Slip and called Mazes & Minotaurs by the name "Mazes & Monsters".....twice! I've fixed that momentous blunder. 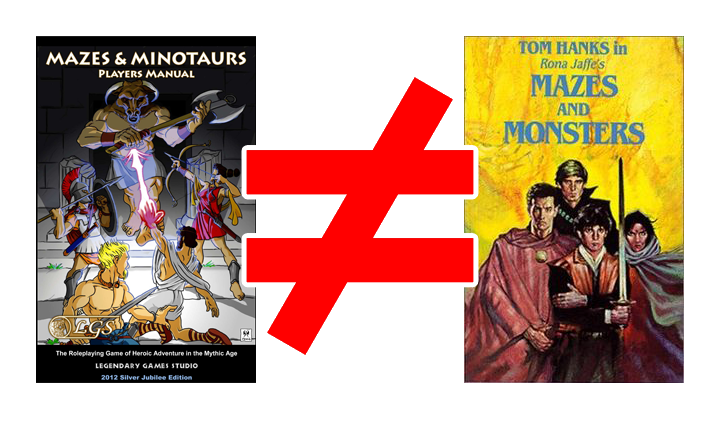 Mazes & Minotaurs is NOT Mazes & Monsters!